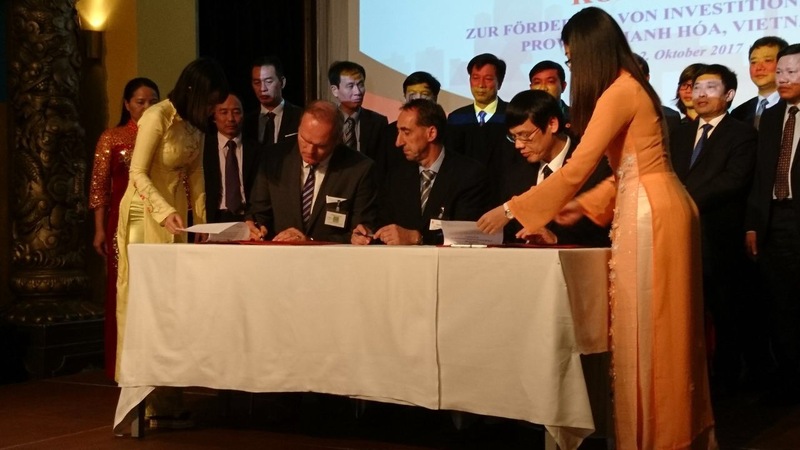 On 2.10.17, Managing Director Markus Epping and the chairman of the Central Committee of the Vietnamese province of Thanh Nóa, Mr. Nguyen Huu Trang, signed an MOU over 100 MWp in Berlin. The PV parks of a size of 50 MWp each are to be built in 2018. Since June 2017, Vietnam has received a feed in tariff system with 9.35 ct / US dollars for a term of 20 years. These are the first projects for Epping in Vietnam. Others will follow. According to Markus Epping, Vietnam offers a unique opportunity for investors in the photovoltaic sector. Vietnam needs a lot of energy for its ambitious plans in the coming years, which is to be covered by solar power.